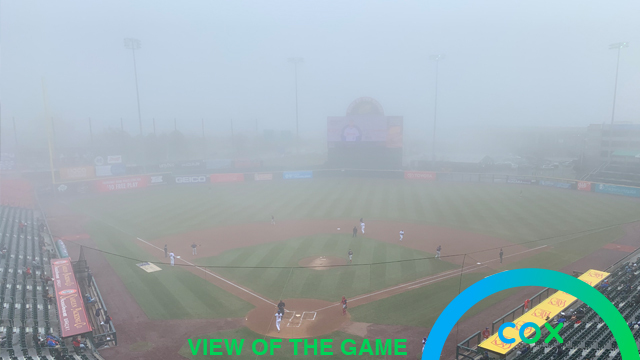 BUFFALO, N.Y. - After falling behind 2-0 in the second inning, the Pawtucket Red Sox scored five unanswered runs to defeat the Buffalo Bisons, 5-2, on a cold and foggy Monday night at Sahlen Field. From there, the PawSox grabbed a run in the third on a sacrifice fly from Rusney Castillo. Trailing 2-1 in the seventh inning, Mike Miller laced a two-run single into right field to plate Josh Ockimey and Tony Renda and vault Pawtucket ahead, 3-2. An inning later, Ockimey yanked a two-run blast to right field - his first long ball of the season - to add insurance.